My birthday was 27th August. I meant to let it passed because birthday was not an important event with me and I was so sick of that kind of birthday party with a lot of people and drinks. But all of a sudden, my friend asked me to go Sapa just before my birthday 3 days. 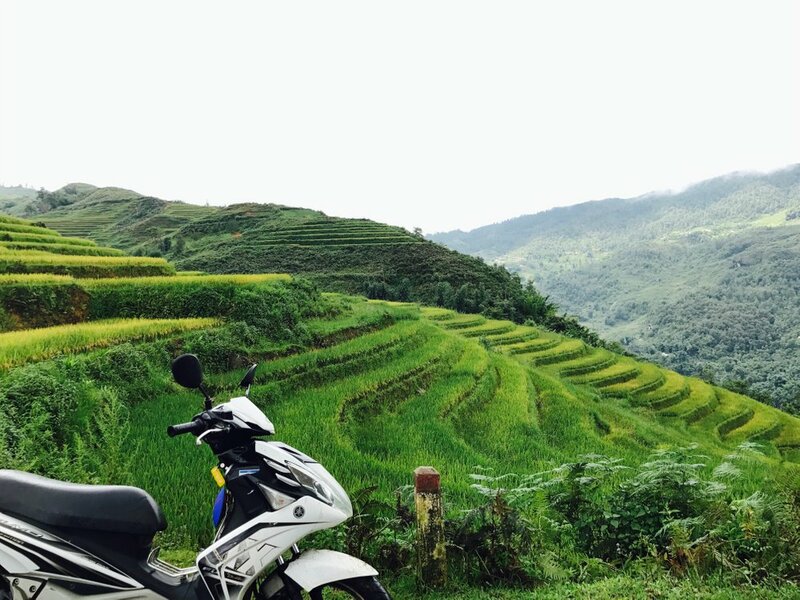 He loved that place, he wanted to turn back one more time and show me how gorgeous Sapa is. Anyway, I also needed some fresh air which can not be found out in Hanoi. So, lets go! Actually we did not prepare too much. We just checked Sapa weather, bus price and booked hotel. The best way to get to Sapa is to take sleeping bus. It is cheap and fast. There is one more choice - sleeper train for you guys from Hanoi to the town of Lao Cai. But I think it is less convenient than bus because after you get train station in Laocai, you have take one more bus to get Sapa from there. My sister is a tour guide, she helped us book sleeping bus with good price around 180.000 VND (~ 8,1$) at 10pm on 25th August. We booked a room at Sapa Diamond Hotel with mountain view, price was 1.600.000/night (~73$). Preparing completed. We arrived Sapa at 4.30pm. But it was still dark and no one get off. Staying inside the bus, I saw drops of water which was flowing down along the window and I know it was raining. 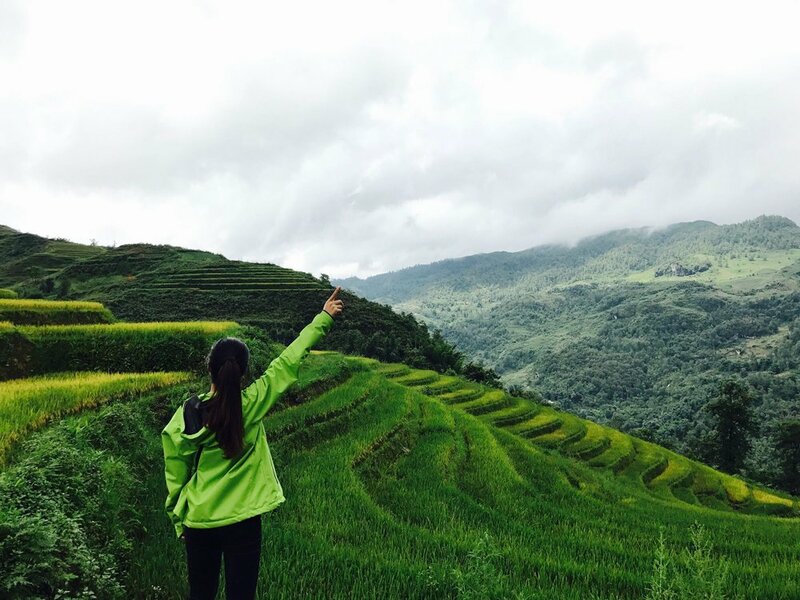 I could not wait any more and asked my friend to go out right away to enjoy fresh atmosphere of Sapa. As soon as I got off the bus, I was socked a little bit because the difference in temperature between inside and outside. It was too cold when comparing with Hanoi in that time. It was drizzling and small town was covered with fog. Since it was too early, so I felt like I was lost in some deserted town in Western. Holding his hand and walking along the street while rain drops was falling on my face. 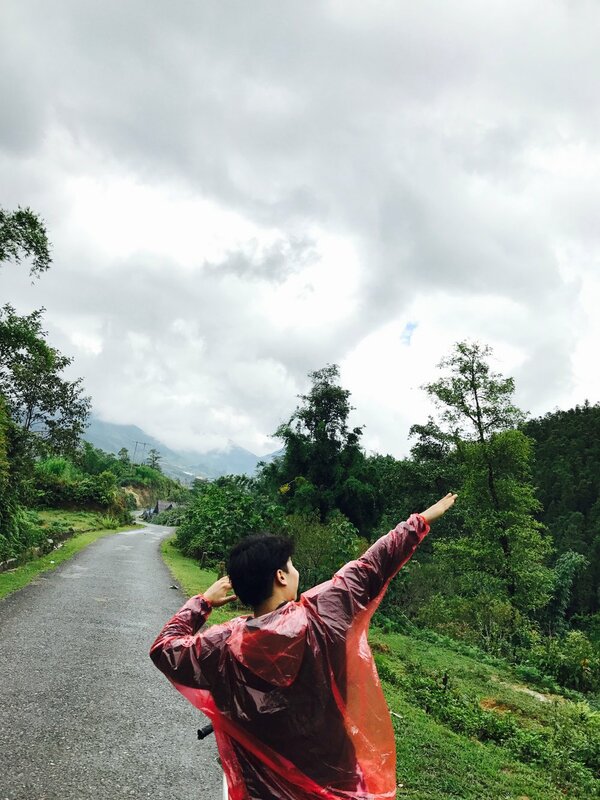 That was one of the most beautiful memories in Sapa. We needed to wait to check in hotel at 2pm. And we decided to find out hotel first and put our stuffs over there. After that, we found some restaurant to have breakfast. A dish of hot fried rice was quite good in this weather. 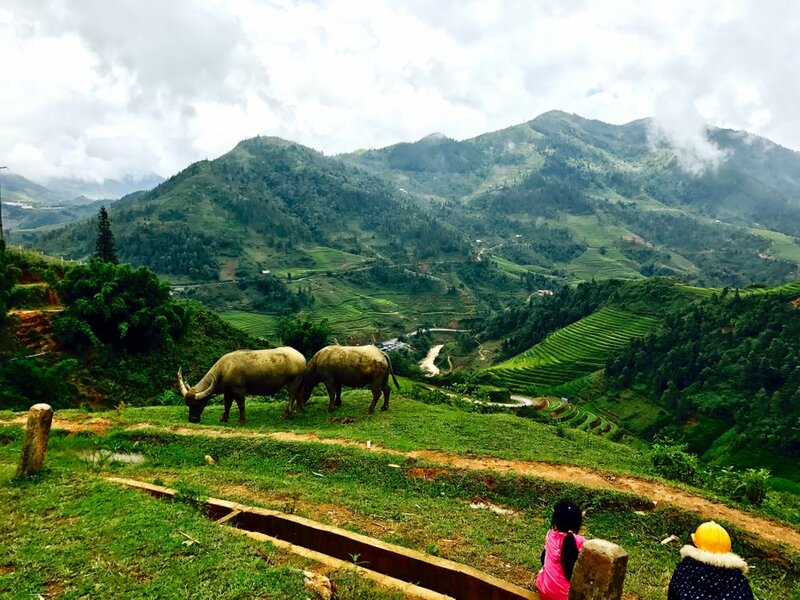 We already had enough energy to explore the mountainous side of Sapa. We finished breakfast at 6.30am. It kept drizzling but we didnt care about it because the most important thing was the way of creating memories with each other. Rainy day or sunny day wasn't matter at all. We didnt want to waste time to wait in hotel, so we made a decision to discover mountainous side with bike. We turned back hotel after bought 2 raincoats. A hotel receptionist helped us to rent bike with 200.000 VND/12 hours (~$9.1) including petrol fee. Started an amazing journey. From hotel, we went up the mountain. It started heavy raining, Our raincoats was not really useful. we got wet but kept going up. It was to hard to drive bike in that situation when raindrops constantly fell on my face and my vision was surrounded by white fog. Sapa nature seemed to see through our efforts and repay us worthily. When we was going up slowly along the winding mountain road, an amazing scene gradually appeared. You guys cannot imagine my feeling in that time. From slope of mountain, we looked down the small valley. It looked so peaceful in the amid of impressive mountains. The more raining, the more it looked like a picture drawn by The Creator. Keep going, you will be re-paid. 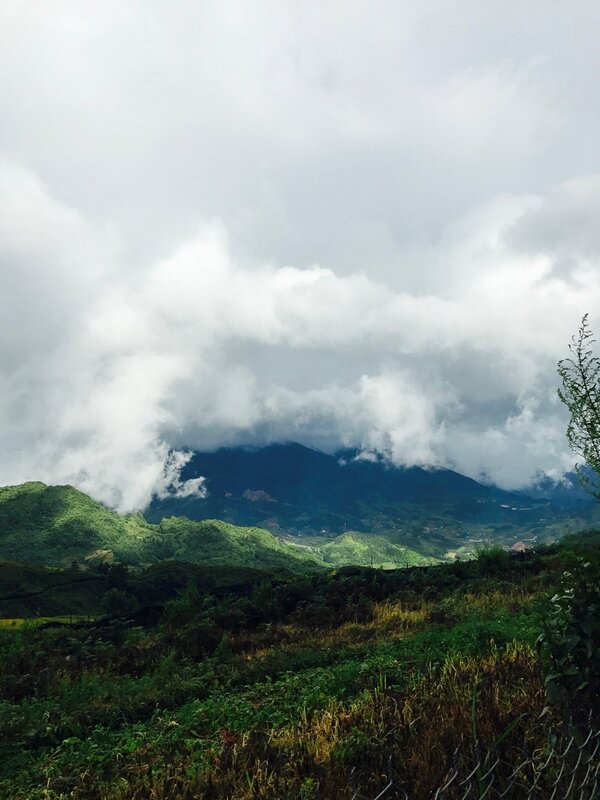 We believed that Sapa would not have only that, there were more gorgeous scenes. And we kept driving to reach to the clouds. You know what, it had heavy rained before but when we went up high enough to pass over the clouds, there was a sunny sky was welcoming us. We saw gleams of sunlight thrusting through the gray cloud layers and brightened up small village in the valley. That was the most amazing view I had ever seen in my life. Both of us were suddenly quiet, looked at that view, looked at each other and only one response was "wowwwwww". I tried to take a lot of photos but there was not any camera be able to take whole that scene. I am trying to write exactly what I saw but honestly, there is no word to describe it. 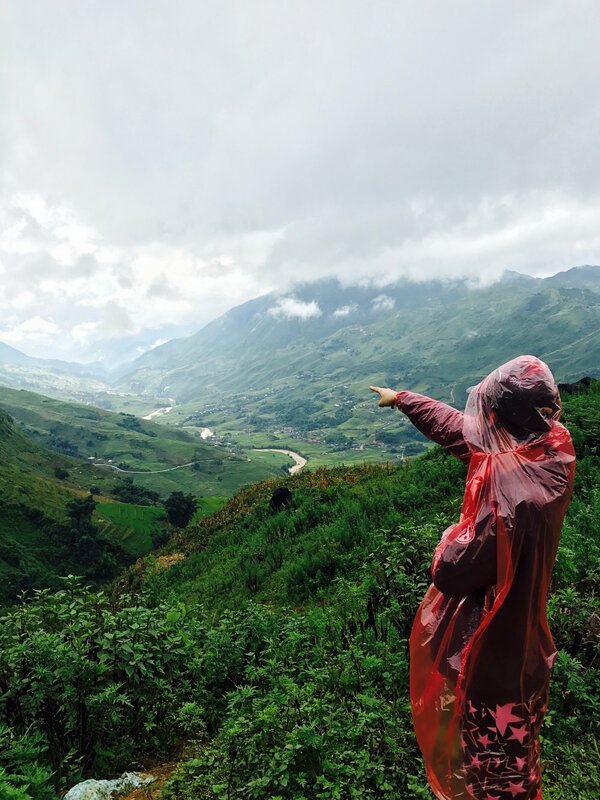 Sapa made us almost crazy and could not stop the exploring journey. With a full petrol bike, with a loudspeaker which was playing EDM playlist. The sound of raindrops, of music, the sound of waterfalls, of nature made us so high. We went through the villages of ethnic people, we stopped anywhere we wanted just to see longer some beautiful scene and memorize it in our mind. We drove along the mountain road as far as the google map could not show anything anymore. And we returned after discovering almost everything. 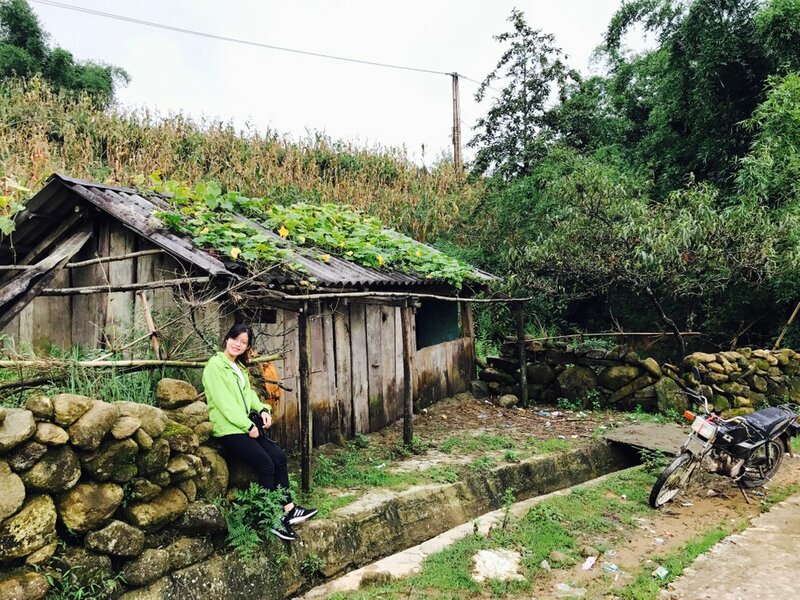 I am not sure Sapa was really gorgeous and amazing like that or that is because I was so emotional with the nature that I could not see for a while. 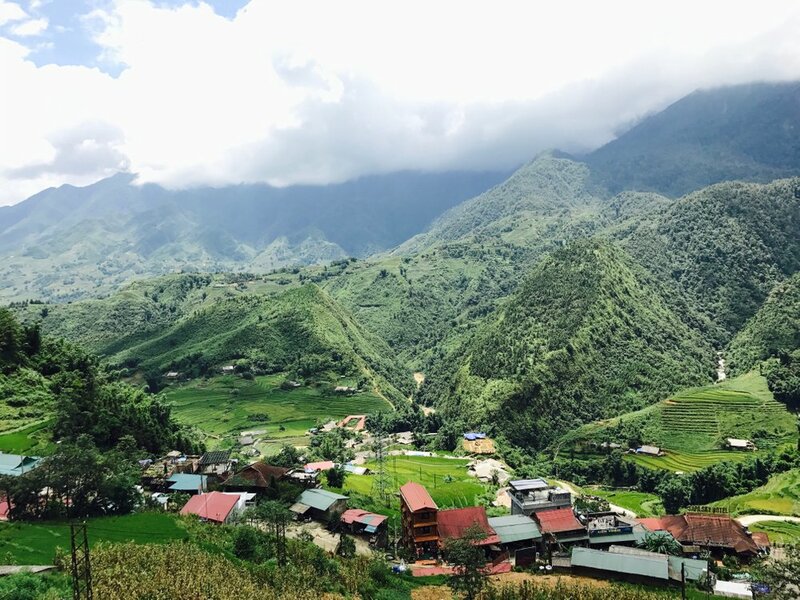 But some small things like kids, wildflowers, cattle, the fields of rice and corn along mountain slopes, ... Everything created a Sapa with both impressive and poetic beauty. When we went back to check in hotel room, we didnt know what was waiting for us over there. Yeah. Life is up and down. It always takes you by surprises.